We’re a city centre free house pub with lots of live music and good ale. 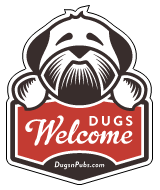 Dogs are welcome to join us and our two resident sausage dogs for beer & food at any time! There are a total of 17 dog friendly listings in the Liverpool category. Please log in, or sign up as a member to view all listings.